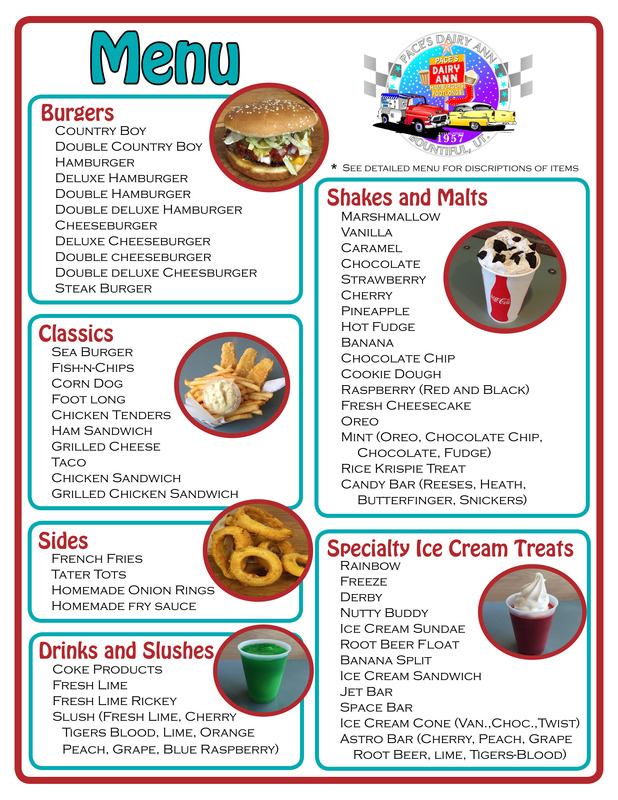 Download Pace’s Dairy Ann detailed menu for a description of menu items. For quicker service, we take call-in food orders! We accommodate large Astro Bar orders. Call or come in to place an order.